Your day in Islamic “tolerance.” Note that the woman, “The Khobar woman,” who converted from Islam to Christianity was forced to flee Saudi Arabia because she wouldn’t have “escaped” with just 300 lashes. She would have been executed (and in a few generations, women like her won’t have a Sweden to flee to because it, too, will be majority Muslim and completely intolerant–that’s where it’s headed demographically). Note that Khobar is also the name of the towers in Saudi Arabia where mostly Americans lived and which were targeted and blown up by Muslims for that very reason (to kill Americans). Note also the “tolerance” of this woman’s father. Manama: The father of the Saudi woman at the centre of a storm following her conversion to Christianity and flight from the country has rejected the court ruling against the main defendant in the case. The court on Saturday sentenced the Lebanese director of a company where the woman worked before fleeing Saudi Arabia to six years in prison and 300 lashes for his alleged role in her conversion. However, the father said that he would challenge the verdict. “The ruling is not appropriate for what he has done to us,” the father who was not named told Saudi daily Al Yawm. “He has deprived us of our daughter and he must assume his responsibilities. We will ask the court to keep him behind bars until our daughter comes home,” he said. The woman, known in the local media as ‘The Khobar Woman’ in reference to the eastern city where she worked, has reportedly fled to Sweden. “I hope the Saudi embassy in Sweden will deploy greater efforts to locate and repatriate our daughter. I believe the diplomatic mission has information about her and I would like them to do their utmost to find her,” he said. . . . The unusual conversion and fleeing case in the Saudi kingdom made headlines last summer after a man filed a formal complaint, claiming that his daughter who worked in an insurance company in Khobar was influenced by her Lebanese director to convert to Christianity and flee her country. A Saudi national who had business connections with the company reportedly helped her by forging a travel document that allowed her to leave Saudi Arabia. She arrived in Lebanon before transiting through Turkey to go to Sweden. A first attempt by her father to convince her to return home has apparently failed after her “supporters” warned her that she would be killed for her conversion if she accepted to go back. The Saudi national was on Saturday sentenced to two years in jail and 200 lashes for his role in the case. See. This is the typical “tolerance” the Muslim world shows for others. And yet they seek for us to bend over backward . . . and forward in response. And, even more disgusting, we do it. In Canada (at least recently), we usually associate “repatriate” with bringing home dead soldiers. So much for the most blessed and true religion of peace. More proof that the Crusades should have been won in the first place. Here we have further evidence that Islam consists of sludge, shaped and molded into human form; a death cult dedicating their miserable existence determined to prove it. Like the pressure cooker story entry below, this typical news out of the Muslim world should cause great wails of protest but expect only continued shrugs. Debbie, that might be worth following up – why is Obama stacking his administration with fundamentalists/islamists. Well we can’t go around imposing things like tolerance on the Muslim world. Especially when we sell it to the highest bidder. I noticed that the father’s carefully worded statement can only be decoded if one contemplates what is almost unthinkable in a western context. This is not atypical. One also can’t easily discuss it without being labeled an ‘Islamophobe’. It’s no accident that it is now ‘Islamophobic’ for a westerner to ascribe values outside of a western context to a Muslim. At the same time it is supposedly ethnocentric to expect a western code of conduct from a Muslim. They exist now effectively as a separate entity which is of course how they see themselves and is part of the unaccountable status they demand from a subjugated people. Debbie, if you read this, Please check out this link https://www.facebook.com/photo.php?fbid=10151881008915828&set=a.249145495827.179841.177350550827&type=1&theater I also emailed you. This WHY ISLAM campaign already has 5 mega billboards in Sacramento. They are trying to recruit Hispanic Christians to Islam by lying about the Muslim belief in Jesus and saying stuff like Muslims love Jesus. We need more awareness out there to counter these ads, such as billboards about racism in Saudi Arabia and Muslim countries towards Christians to lure the vulnerable away from Islam. @Nir Leiu, Debbie is correct on her response to you, not only Obama is doing the samething (believe you me, DS is NO fan or supporter of Obama) regarding to Islamic immigration and muslim immigrants, Bush during his eight year reign did just about the samething, if not a little worst than what Obama is doing. When we we’re nailed on 9/11/01, Bush could’ve easily put a short halt on Islamic immigration and began doing “racial-profiling” on those of the Islamic faith (or cult) and those who are of middle eastern born, (yes I know, not all middle eastern folks are muslims and not all of them support violent terrorism, Debbie understands that and so do I) etc. He did the opposite and Obama is following the same policies. Now to the main topic, I’m really not surprised that the KSA is doing this crap, by persecuting non-muslims and also persecuting apostates by giving them barbaric lashings. And I’m glad that the apostate is in Sweden where she’ll be protected by their government, and I also understand that the Swedish government are muslim and arab pandering! I can’t believe you used that argument again. It’s not on the same scale and by that argument you can’t hold any politician responsible for anything they do as long as they are up front about it. Also you don’t really hold Obama accountable by name they way you hold Bush accountable. Bush gets mentioned by name all the time. He’s not even president anymore. The last time I remember you mentioning Obama by name was on his dufus trip to Israel. Even then you weren’t exactly scathing. I don’t get it. I’m fine with it but it doesn’t make sense to me. In Islam, apostasy is punishable by death. There is no freedom of religious worship or conscience in any Muslim country. And yet we bizarrely feel the need to respond to their intolerance by showing them the kind of mercy they would never show us. Incidentally, the absence of real freedom is why no Muslim country will ever be a tourist mecca. Sorry I don’t agree, we can go on dredging up the past and conceivably that might help us if there is ever another conservative in the white house. However I would say keep your eyes on the road in front of you. Plenty of traffic up ahead. I’m all in favor of establishing this following policy: no more Saudi money or visas for Saudi religious operatives unless Saudi Arabia grants reciprocal rights towards any faith, be it Christian, Judaism, Buddhism, and so on. 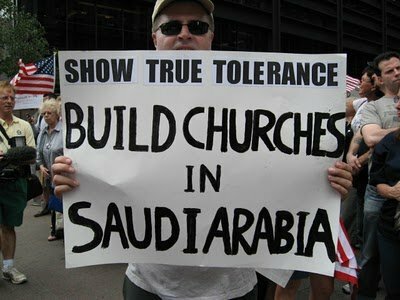 And Saudi Arabia must allow free exercise of religion throughout its country, including, but not limited to building churches, synagogues, etc. To be fair, that would only happen when pigs start to fly (no pun intended…). By the way, I’m not seeing anyone in Saudi Arabia, who have some issues regarding religious conversions, complaining about those kids in Indonesia being “removed” from their families to undergo an Islamic “re-education”. there is a reformation going on in the Muslim world right now to a strain of Islam called Wahhabism. Most people in the Western world are completely ignorant of this development because the real Islamophobes in the media don’t think it’s something we should discuss too much or are too stupid themselves to understand why it’s important. Obama is Bush on acid. He is MUCH worse! You were just more disappointed by Bush. Hussein is a racist freak. 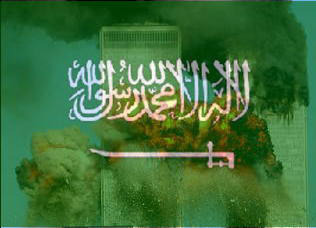 If this lashing takes place, the USA should cut off all financial aid to Saudi Arabia for 20 years. Hey Truth – I hope you’re greatly mistaken. Why would the US give financial aid to one of the wealthiest countries in the world??????????? The only person getting a free pass here is Obama. I don’t care so much about what people say as what they do. Liar, liar pants on fire. Give me a break. All politicians are liars. Wake up and smell the coffee. As for being just as bad. Just as bad as what? People without a sense of proportion on their hate index? Dope is a gateway drug but that does mean we can’t talk about crack cocaine? Fricken binary switch wants to find the middle ground. I agree w/ Debbie. Obama never promised any opposition to terror, much less Islam, but Bush did. Yet Bush kept alive his special relationship w/ the worst offenders – the Saudis & the Pakis, so he deserves more opprobrium than Obama. If we are going to get the same thing from 2 candidates, it doesn’t make sense to oppose the one who is upfront about it. On a separate note, Norman is right. In Islam, apostasy is punishable by death, even while they encourage – and often blackmail – people to convert to Islam. Even if Muslim countries don’t have it in law, they have it in practice. In other words, let’s say a Muslim country does not have the death penalty for apostasy. It’s still dangerous for a Muslim to convert to a non-Islamic religion – if nothing else, they’d be subjected to vigilante justice or honor killings. Even if they were to flee to non-Muslim countries, since no non-Muslim country bars Muslims from entering. It’s a pity that the crusades were lost, but the rot started very early, as European countries pretty early started making alliances of convenience w/ Ottoman Turkey against Russia, and other such partnerships w/ Muslims. Treating Muslims as partners during the 19th century was the worst thing Europeans did – it just laid the foundation for the former’s arrogance, already there, but just fueled all the more, and not just by the newly discovered oil reserves there.